Plurannual plant, 10-30 cm. high with thick few-branched black-brown creeping rootstock light on the cut, shortened plurannual vegetative and annotinous generative shoots, forming the radical rosette. Vegetative shoot with cataphylls develops annually from apical bud of the plant’s main axis, and accessory buds form side shoots, the development of which gradually leads to termination of apical bud activity. Generative, floral shoots develop from the bottom leaf axils. The leaves are different. Bottom leaves on long leaf butts, palmately compound, consist of 5 oblanceolate leaves, dark-green from the top, sericeous on the bottom with dark-brown stipula. Pedicellate leaves are small, squamiform, 1-2 in number, with little ooid-lanceolate stipula. The whole plant is covered with accumbent silver fuzz. Blooms in April-June. The flowers are white, up to 3 cm in diameter, on long flower-bearing stems, gathered in 2-5 in apical cymes. Flower-crown of 5 free petals, flower cup and calyculate are lowered, five-incised. There are a lot of stamens and pistils. Superior ovary. Fruits – nuts, savoyed, pilose at the base. Ripen in June-August. Spreads mostly vegetative, seed reproduction is rare. Grows in relatively clean-boiled places in broad-leaved fir and pine forests, steppe meadows, on grassy hill slopes sometimes among the bushes, mainly on fresh fertile clay sand и sandy loams. Does not form tousles. There are not more than 2-3 plants on 1 square meter. Is spread in central regions of the European part of Russia (in Black Earth area usually, seldom to the north), Crimea, Middle and East Europe. In Belarus can be found occasionally in south and central parts, in Ukraine Polesye more often – sporadically on elevations of the north-west end of Ukrainian shield. Rarely can be seen in Donetsk forest steppe and some other places. Underground part contains carbohydrates (starch), iridoids, saponins, phenolcarbonic acids, flavonoids (meletin), tannins. Aerial portion contains iridoids, saponins, phenolcarbonic acids, flavonoids (rutin), tannins. In the leaves phenolcarbonic acids (n-coumaric and ellagic acids), flavonoids (meletin, kaempferol, cyanidine) have been found. Potentilla is a concentrator of Mn, Zn, Cu, Se, Co, Fe, Si, Al moreover for Si, Al, Zn, Mn its concentration exceeds the criteria of mineral elements concentration for non-traditional plants in 1.7, 2.5, 3.0, 4.0 correspondingly. It should be mentioned that potentilla Alba also contains elemental iodide and iodide acid anion. As the raw material the underground part is used the creeping rootstock with roots, which is prepared in the autumn, after aerial portion dying-off. The grass is not used in medical practice because it does not bear thyrotropic activity. Medical properties of Potentilla Alba L. are various. Recently this plant was proposed as a remedy for thyroid gland diseases thyrotoxicosis, hyperthyroidism, nodular and toxic goiter, hyperplasia of thyroid gland). 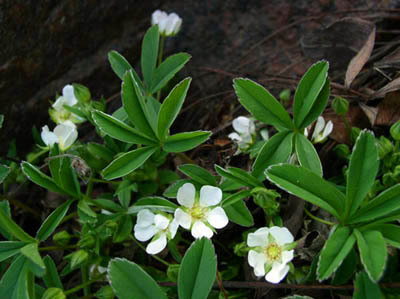 Therapeutic efficiency of the Potentilla Alba was proved clinically. The study of pharmacological activity of extracts of Potentilla Alba has shown that root and grass extracts are almost not toxic. It is also known that Potentilla Alba shows an antibacterial activity, that is why it is used for treating the colitis, coloenteritis, dysentery and other gastrointestinal disturbances. In Bulgaria the decoction is used to treat diarrhea, gastrointestinal tormina as astringent and homeopathic remedy. Besides, the phytotherapists recommend the application of Potentilla Alba for prevention and treatment of the liver, cardio-vascular system and gastrointestinal tract diseases, ulcer in particularly and also as antiseptic and wound healing remedy. Decoction of roots is used to treat podagra, rheumatism, biliousness, dysentery. In folk medicine of Belarus it is recommended to drink the decoction of grass of Potentilla Alba in case of descent of womb, painful period. Dry grass powder is used for sprinkle the abscesses, furuncles, carbuncles, abscesses. In the form of decoction it is used externally for hemorrhoid, weeping eczema treatment, for syringing, mouth rinsing in case of stomatitis and gingivitis. A special significance has the application of Potentilla Alba in zones with special social-economic status (Tschernobyl etc. 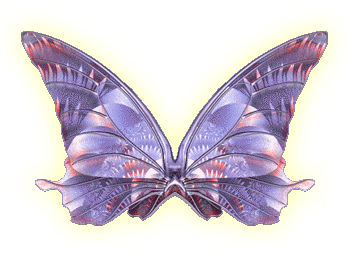 )and in iodide-deficit regions aimed at metabolism normalization. Unfortunately, the modern pharmaceutical industry left the healing properties of Potentilla Alba without attention. That is why it is not possible to buy roots or grass of this plant in drug store, it is not sold there. Until the latest time no preparation was produced on its basis. Only due to long work of Russian scientists in 2008 on the pharmaceutical market of Russia appeared ENDONORM® – the first preparation, created on the basis of this unique plant.